If you’re not able to make it out to hear one of our excellent speakers for our monthly meetings, don’t despair! You can still learn from our speakers when it’s more convenient for you. 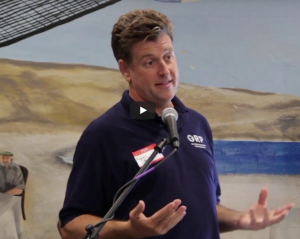 Thanks to a Green Grant from Baltimore Gas & Election, we have created videos of our Speaker Series and they’re all up online now to review on the SRA Website. Want to review the State Of the Severn from Nov. 20? The video of Dr. Andrew Muller and Capt. 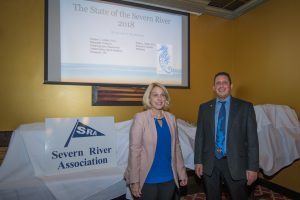 Diana Muller’s State Of The Severn presentation is ready to roll for you anytime. Just click here for our Speaker Series videos. Want to learn about how oyster spat are produced at the Horn Point Hatchery in Cambridge, MD? Again, no problem, you can view Bryan Gome’s presentation any time. Bryan’s video is also up, just click here for the Speaker Series videos. Bookmark this site — Speaker Series videos — so you can enjoy the videos anytime.